The Asia Poker League Reloaded measured up to its name with a highly successful seven days of poker and a massive 911 entries storming in for the Main Event at the Beijing Poker Club. This was an incredible achievement for the APL having nearly doubled last year’s attendance of 472 entries. The highlight event offered five entry flights for a buy-in of CNY 5,500 (US$800). The prize pool amounted to CNY 4,555,000 (US$660,674) with 108 players seeing a payout. Deep into the evening, the tournament finally found its champion with teacher Gang Ge victorious. The final day began with 32 players back at the felt. While there were several favored pros still in the running such as Li Yan, Li Si Xiao, Steve Yeah, and chip leader Canlin Chen, the title was not theirs for the taking. Instead, it was Gang Ge, a teacher that won his seat through an online satellite who rose to victory. One of the biggest surprises of the final day was the early departure of chip leader Canlin Chen in 25th place. When the field trimmed down to the final table, female pro Li Yan managed to make the cut but was stopped in her tracks in 5th place. One of her crucial hands saw her lose a large portion of her stack with her AK defeated by K7. Despite his late arrival in Beijing, Somuchpoker co-founder Denis Pham made good use of his time by winning the last event of the festival, the NLH 8 max event. There were 55 players in total, each one contributing CNY 3,300 buy in (US$470) for a CNY 165,000 (US$23,971) prize pool. Interestingly, while a Chinese national claimed all the other events, the heads up of round itself had a special flavor with Denis Pham defeating Korea national Steve Yeah. Pham took home the last trophy and the CNY 53,400 (US$7,758) first prize. Now that the sleeping giant China has been tried and tested, there is no doubt that it is the newest frontier for live poker. 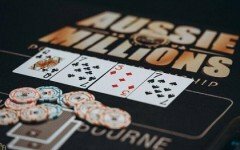 This promising market continues to create a lot of interest from many enthusiastic international poker outfits. The journey within however comes with multiple barriers thus making it particularly challenging for these foreign companies, not excluding the young APL who has had its share of difficulties at the start. “ Our next goal is to project our events outside of Mainland China. Players will have the chance to embrace the APL experience in South East Asia in the coming months”. 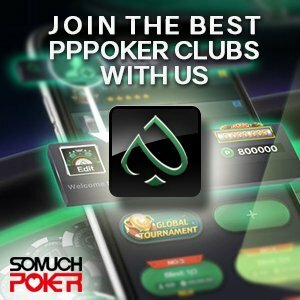 Throughout the APL event, Somuchpoker noticed the participation of many international players including several known pros from Asia Pacific. The likes of Mike Kim, Tetsuya Tsuchikawa, and Aussies Natalie Segon and Mel Judah all made the trip showing a growing interest for a league that hosted its first event less than one year ago. Now that the weeklong festival has concluded, the global picture that is emerging is that the Asia Poker League has passed a crucial milestone and is now ready to expand.